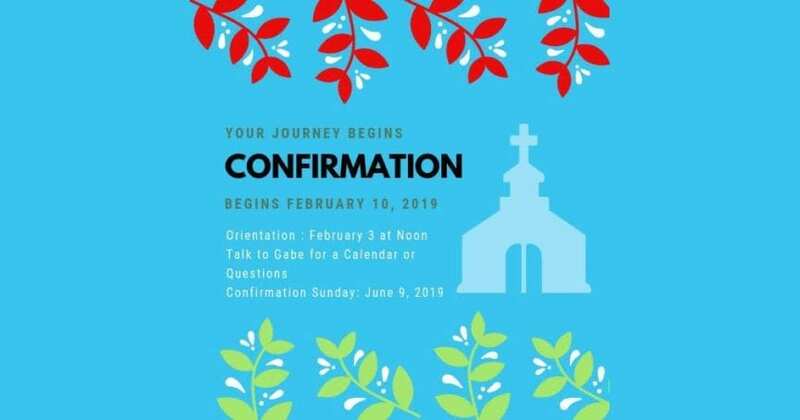 There will be a confirmation orientation meeting on February 3, 2019, at 12:00 p.m. following the worship service. All parents and youth of confirmation age are invited and encouraged to attend. Confirmation classes begin on February 10, 2019. Confirmation Sunday is on June 9, 2019.